Marco Rose to take over as Borussia Mönchengladbach head coach! 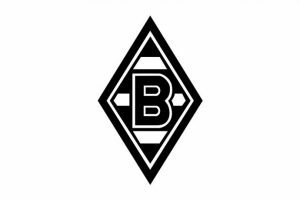 Home / German Football / Bundesliga / Marco Rose to take over as Borussia Mönchengladbach head coach! 42 year old Leipzig-born Marco Rose will become the new head coach of German Bundesliga side Borussia Mönchengladbach from July 1, 2019 onwards. Rose is currently successfully coaching Austrian Bundesliga champions FC Red Bull Salzburg. “Marco Rose has done an outstanding job at Salzburg over the last six years and we are delighted that he is joining us next season,” said sporting director Max Eberl. Marco Rose will be joined by his assistant coaches Rene Maric, Alexander Zickler and Patrick Eibenberger in his new role at Borussia. Since June 2017, the now 42-year-old Rose has been head coach at Red Bull Salzburg. In his first season in charge of the first team, he won the Austrian league and led the club to both the semifinals of the UEFA Europa League and the final of the Austrian Cup. Currently, Rose’s Salzburg are four points clear at the top of the table and have reached the final of the Austrian Cup for the second season running. In 2009, Rose had a short spell as Thomas Tuchel’s assistant at 1. FSV Mainz 05, before he began his coaching career as Martin Schmidt’s assistant with the Mainz U-23s in July 2010. After two years with Mainz 05 reserves, he moved to regional league side 1.FC Lokomotive Leipzig to begin his first head coach role. In 2013/14, Rose took over RB Salzburg’s U-16s and was promoted to the U-18s two years later. Another two years later, Rose led the U-19s to 2017 UEFA Youth League success. Before becoming a coach, Rose played for VfB Leipzig, Hannover 96 and Mainz. Previous Chennaiyan FC outplay ATK to book Super Cup final match against FC Goa! Next Germany’s Reinhard Grindel resigns from the FIFA Council!